Majors Home Improvement is the company to turn to for replacement windows in Crestview, Florida, and surrounding cities. Our Majors Select™ vinyl windows are made to operate effortlessly in all weather conditions and are warranted against corroding, rusting, rotting, cracking, warping, blistering, and other damage. Plus, they are energy efficient, featuring multiple chambers and welded frames and sashes, to ensure your home always maintains an optimal temperature without relying heavily on your HVAC system. At Majors Home Improvement, we pride ourselves on delivering an outstanding experience for our customers, which is why we’ve been able to maintain an A+ rating with the Better Business Bureau for so many years. For your project in Crestview, FL, our highly trained installers will provide Red Carpet Service, which means they will be respectful of you and your home while also being efficient and precise when installing your replacement windows. Even better is that we offer a double lifetime warranty for our windows, effectively safeguarding your investment and providing added peace of mind. We extend this warranty because we believe so highly in the quality of our products and the work of our installers. 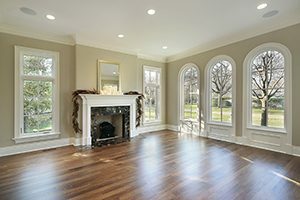 If you need replacement windows installed at your home, Let Majors Do It! Contact us today to schedule a complimentary consultation at your home in Crestview, FL.